CHELSEA avoided slipping on a potential banana skin in Prague and should finish off Slavia back at Stamford Bridge to reach the Europa League semi-finals. Their 1-0 first-leg victory was far from convincing, with full-back Marcos Alonso grabbing the winner at the death, but it was job done and an impressive result. Slavia have been a formidable force at home in Europe this season, going undefeated against the likes of Sevilla, Zenit, Bordeaux, Genk and Copenhagen. 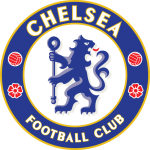 It looked like Chelsea would be added to that list as the game in Prague descended towards a stalemate but Alonso's goal has given Maurizio Sarri's side plenty of breathing space. The Blues have been blowing Europa League opponents away at Stamford Bridge, winning every game with only BATE Borisov managing to score against them, so it's easy to see why most bookies make them 1/3 favourites to win on the night here. The Czechs lost to Zenit and Bordeaux on the road in the group stage but showed how dangerous they are in the knockout stage by thrashing Genk 4-1 in Belgium and drawing 2-2 away to Sevilla. That suggests they might score at Stamford Bridge so try backing a Chelsea win with both teams to score at 5/2 with Betfair and 12/5 with Paddy Power. Sarri's side followed up their Prague win with a 2-0 defeat at Anfield, summing up the inconsistency that has dogged their season. The only competition they have constantly delivered in has been the Europa League and I fancy them to chalk up another victory here. I tipped a lack of goals in the first leg and it paid off but I've a feeling things will be different here as the Czechs need to attack to have any chance of getting back into the tie. Over 3.5 strikes is 41/20 with Unibet and that looks like a decent option. Chelsea should make a few changes after the painful Anfield loss that hurt their chances of finishing in the Premier League top four. Strikers Olivier Giroud and Gonzalo Higuaín didn't start in Liverpool as Sarri deployed Eden Hazard as a false nine but one or both should return for this one. Frenchman Giroud has been in fine form in the Europa League, netting eight times, so he looks the best bet in the goalscorer markets. The 32-year-old is 21/5 with Marathonbet to open the scoring and a generous 27/20 with Unibet to find the net at any time. Both sides are pretty much at full strength, with Blues defender Antonio Rudiger the only big name missing after his knee injury against Liverpool. Tomas Soucek returns from suspension from Slavia and could be a decent bet for anytime scorer, considering he takes penalties. The midfielder is 10/1 with Paddy Power and that might be worth a speculative punt after he scored in the 1-1 weekend derby draw with Sparta.